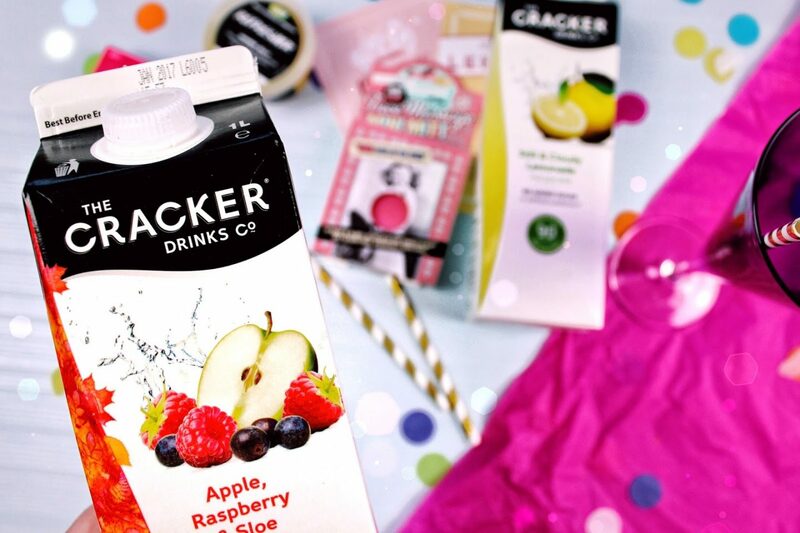 Getting Party Ready with Cracker Drinks Co.
Let’s go back in time to about three months ago. Exams were approaching, assignments were due, and my dissertation deadline was looming, meaning free time was at an absolute zero. 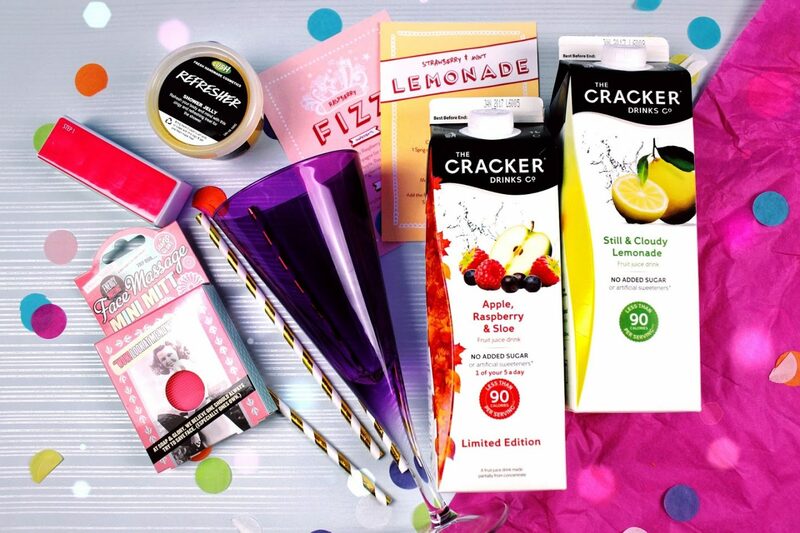 During this time, however, Cracker Drinks Co. sent over the cutest package for me which I saved for one of my rare nights off, and now, with freedom upon me, I can finally tell you all about it. I got warm fuzzy feelings in my tummy as soon as I unwrapped the package. It came in a super cute multicoloured spotted box which I forgot to take a photo of and I hate myself so much for forgetting. Whoops. But fear not, because inside the package was just as wonderful (if not more so!). The box was filled with fabulous goodies, all surrounded by bright tissue paper and tonnes of lovely paper confetti. Inside my magical parcel I received two refreshing flavours of their drinks to try – Still & Cloudy Lemonade and Apple, Raspberry & Sloe – along with recipe sheets to make the perfect cocktail. They even sent me cute straws and a pretty glass to sup out of, and my little cocktail lover within me couldn’t be happier. Hellooooo sophistication! Pre-drinks anyone?! 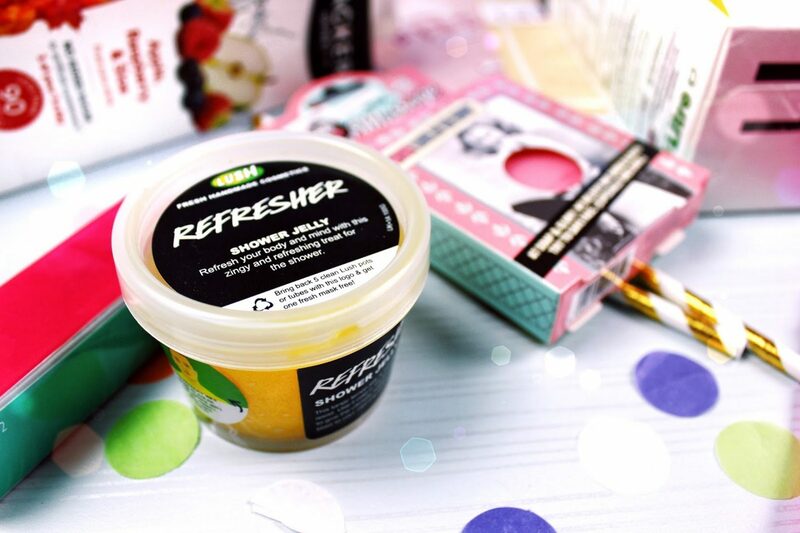 They even sent along a cute nail file, an incredible Lush shower jelly (the smell, oh dear lord, the beautiful smell ) and an adorable Soap & Glory face mitt. 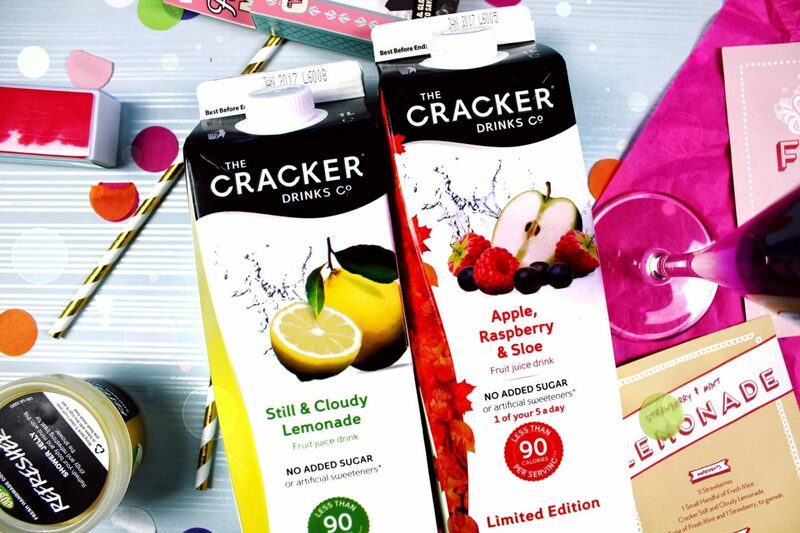 Since Lush and Soap & Glory are two of my favourite beauty brands, Cracker Drinks did a cracking job… YES. A PUN! These drinks are perfect for the summer sunshine we’ve been having recently (please stay forever), and I definitely want to try their Mango and Passion Fruit flavour next. Yum! Previous Post Ashton, where are you?